While digital marketing has become a mainstay in many different industries, healthcare has been hesitant to adopt digital strategies. But now that more and more medical professionals are seeing the advantages of digital healthcare marketing, many see that it’s high time to embrace a more digital direction. 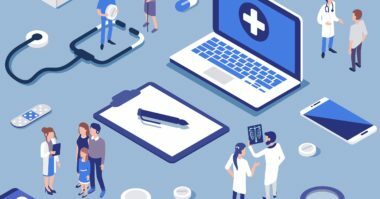 To show healthcare marketers the value of diving into digital marketing, HealthworksCollective.com treated them to these nine key reasons. Did you know that digital outreach can slash overall costs by as much as 50%, down to $149 per patient? Compare this to the cost of TV media, which averages $348 per patient. In addition, digital marketing consistently reduces total marketing spend and increases ROI in practically every industry. Digital marketing lets physicians target patients in a variety of ways, including by their condition, gender, age, and zip code. And BIA Kelsey research shows that 97% of consumers use the Internet for local shopping. By optimizing search terms in real time, physicians can yield better results and ROI. According to McKinsey research, 75% of people want to use digital healthcare services. With patients spending more time online and using mobile resources on a daily basis, digital is the modern way for physicians to practice medicine. While traditional marketing methods tend to be hard to track, digital strategies are rather easy to monitor and measure, thanks to a wealth of data-driven technologies. This data allows physicians to make more effective and efficient marketing decisions. Marketing Land reports that around 20% of Google searches are health related and more than 70% of these searches result in a first-page click. But ensuring that your brand appears on the first page demands savvy SEO strategies and well-placed paid advertising campaigns targeted to your audience. Digital marketing allows for personally targeting people, rather than sending a general message to the mass media audience. 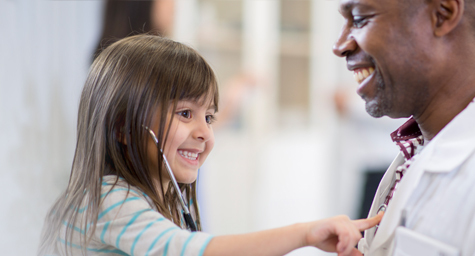 This lets physicians target prospective patients with just the right message, in the right context, at the right time. Having a digital presence makes it faster and easier for patients to locate and reach a physician’s website, digital patient portals, and important information. Patients appreciate this convenience when taking control of their healthcare. In addition, patients also value a physician’s social media presence. In fact, PwC research showed that 41% of patients said that social media engagement will determine their choice of physician and medical treatment facility. 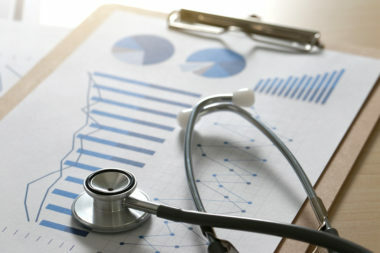 More and more physicians are finding that digital marketing strategies help increase their number of prospective patients, as well as lower the cost of connecting and engaging with them. Plus, digital options make it easy for patients to access and engage physicians, which increases their satisfaction and frequency of referral. Along with easing and expediting patient access, digital marketing improves the patient experience at every step and stage of their journey. Digital tracking systems make it simple to send regular appointment reminders, as well as respond to patient needs with relevant blog articles, and enhance their overall experience with patient satisfaction surveys. By using digital healthcare marketing strategies, physicians can treat both their patients and their practice to a superior level of care. Learn about the latest in digital healthcare marketing. Contact MDG Advertising.